Microwind framework has been now configured to simulate FinFET transistors ; which are tuned to technology parameters close to 14-nm from Intel. 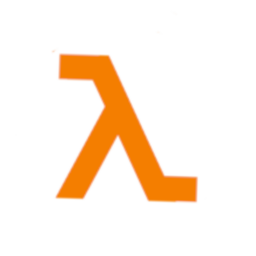 faster, compact and continue scaling. FinFET provides the same Ion current at a smaller size. FinFET provides lower leakage current Ioff at the same Ion. technology which is different from 45 years old planar style. 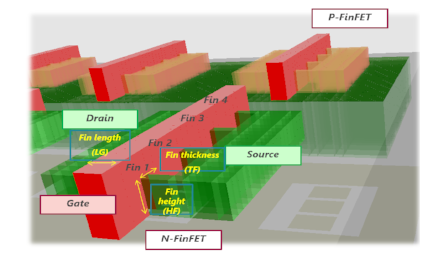 know how FinFET kept it intact. FinFET, also known as Fin Field Effect Transistor, is a type of non-planar or "3D" transistor used in the design of modern processors. FinFET designs also use a conducting channel that rises above the level of the insulator, creating a thin silicon structure, shaped like a fin, which is called a gate electrode. This fin-shaped electrode allows multiple gates to operate on a single transistor. This type of multi-gate process extends Moore's law, allowing semiconductor manufacturers to create CPUs and memory modules that are smaller, perform faster, and consume less energy. 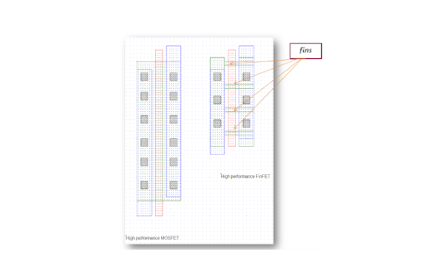 In Microwind 3.8 you can generate FiNFET transistors or compiler using Verilog file too. Below are the outline of generated transistor.